A baby was born thousands of feet in the sky, as a mother had undergone a delivery during a flight between Saudi Arabia and the Philippines. 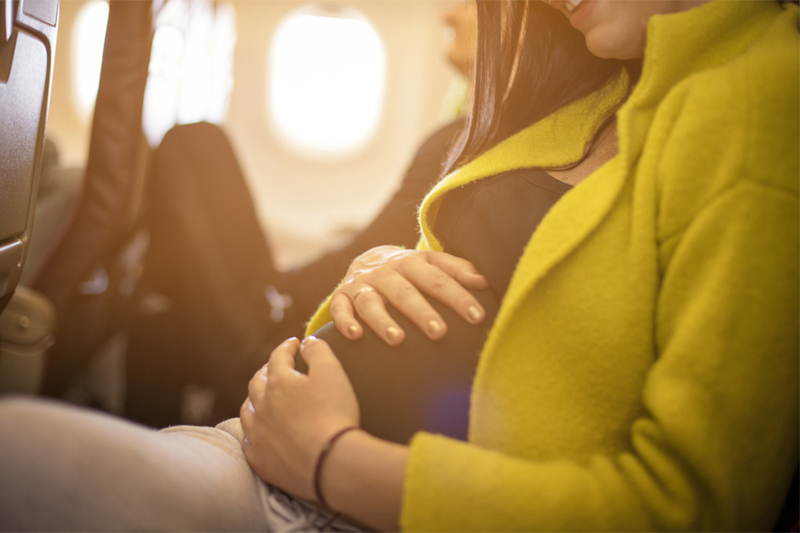 Some people dread the uncomfortable seating, lack of space and the duration of flights but most pregnant women dread giving birth on a flight from one country to another. However, this became a reality for one woman flying back home via Saudia on Monday. Whilst the flight was in mid-air and cruising at high altitudes, a pregnant mother started to go into labour when a doctor onboard helped her deliver the expected baby on the place. When an emergency landing was not an option, given the circumstances - the gynaecologist doctor, who is based in Riyadh, was in the right place at the right time. While several attempts were made to push back the delivery of the baby, the high-stress inducing situation called for an immediate birthing of the newborn, because the doctor realized that stalling the delivery any longer might cause complications to both the mother and the baby. Having an experienced gynaecologist on board is every woman’s dream when travelling while pregnant just in case something goes wrong – this woman will forever remember when her flight nightmare became her flight miracle. This incident wasn’t the first time a baby was born mid-air on a Saudia flight departing from the country. Earlier in the year on April 23, a Saudia flight departing from the Kingdom to Cairo also witnessed a doctor and cabin crew help deliver a baby. Another doctor who specialized in obstetrics and gynaecology was on board when the woman started to experience contractions – the doctor successfully managed to deliver the baby 10 minutes before the flight landed in Cairo. Having a specialized doctor is definitely handy but cabin crews are also required to undergo special medical training to deal with several in-flight medical emergencies, such as these ones.